Global rugged handheld device market could already be well worth over a billion dollars. And going forward, the market could clock steady growth to further increase its value owing to a lot of reasons. One of them could be the healthy competition egging nimble companies to explore various means to grow their market share. This is because the market is moderately fragmented owing to the presence of several players. They are seen focusing on increasing their geographical outreach and customer base. They are also seen focusing on diversifying their product portfolios. To that end, many of them are seen banking upon strategic collaborations. Rugged handheld device, as the name suggests, can withstand rough use in tough environments and industrial settings. The demand in the global rugged handheld device market would rise mainly due to the surging use electronic components in military applications. Another factor believed to be fuelling the global rugged handheld device market big time is the increasing popularity of Android OS. Most of them are seen adopting rugged devices. Technology bigwig Panasonic, for example, has launched its Android-based rugged device that is already being used in a range of industries. Those include emergency services, manufacturing, retail and hospitality, and transport and logistics. In the near term, the global rugged handheld device market is expected to be buoyed by the unique perceived benefits of the devices. Foremost among them is their low downtime and durability. Posing a challenge to the global rugged handheld device market is the reduced number of orders from individual users. This is mainly because of the steep price of rugged electronics and the relatively less scope for customization. Despite such challenges, the global rugged handheld device market is predicted to rise because demand for IoT-based rugged handheld devices. The different types of products available in the global rugged handheld devices market are semi-rugged handheld devices, ultra-rugged handheld devices market, and fully-rugged handheld devices. Among the three, the semi-rugged devices would could lead the market by clocking maximum sales. This is because of the widespread availability of semi-rugged handheld devices. The global rugged handheld device market is mainly being driven by the demand from the commercial, industrial, military, and government. With respect to geography, North America has a high degree of probability of being a frontrunner in the global rugged handheld device market. This is because of the presence of many key players in the region. This has led to higher production of devices and better versions too. Europe could be another prominent rugged handheld device market for the same reason as North America is. In the near term, Asia Pacific is projected to emerge as a promising rugged handheld device market. 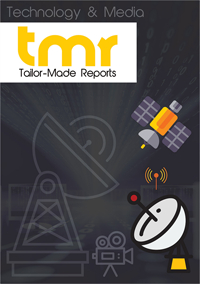 Prominent participants in the global rugged handheld device market are Handheld Group, Datalogic, Panasonic, Honeywell International, and Zebra Technologies. Most of these companies seem to have progressed on the back of product development and strategic collaborations.